A Pair of 2 Ultracompact, wireless portable stereo speakers with ‘explosive’ premium sound. 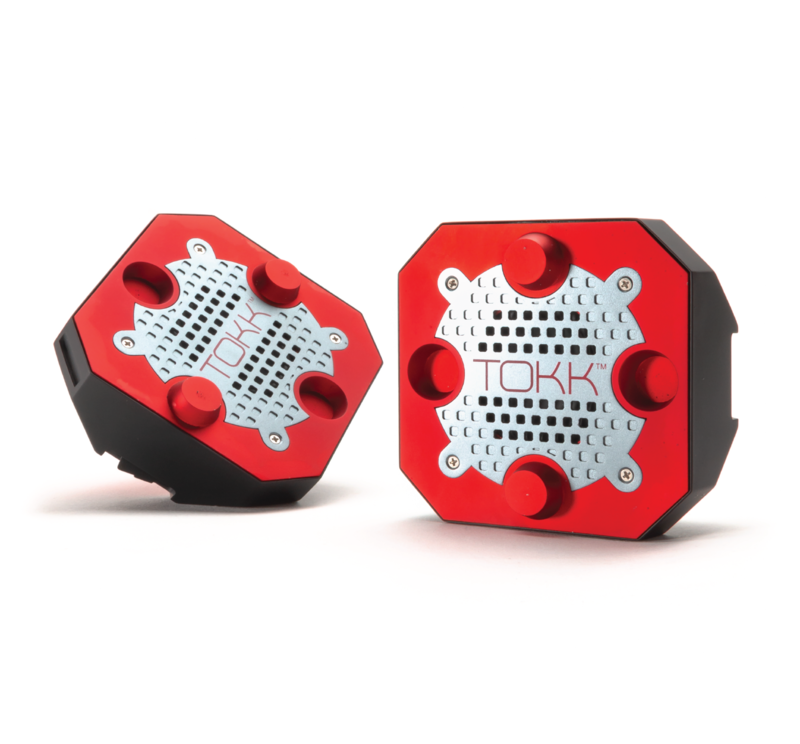 TOKK™ REACTOR are compact speakers that let you enjoy true stereo music on the go. Equally, at home on your desk, the beach, camping or just hanging out. TOKK™ REACTOR brings you wireless ‘explosive’ sound, in a pocket-sized form. With hours of uninterrupted Bluetooth streaming from your smart device, it can even take a call or communicate with Siri, Google Now or other smart assistants. Each speaker is equipped with magnets so you can attach them to your refrigerator, car, or any other metal surface. The halves of TOKK™ REACTOR magnetically attach to one another for convenient carrying. Designed to go anywhere, TOKK™ REACTOR is the wireless speaker that’s made to move.